Opportunities for elementary and junior high school students to learn programming have been increasing over the last few years, and programming education in elementary schools will become compulsory in 2020. 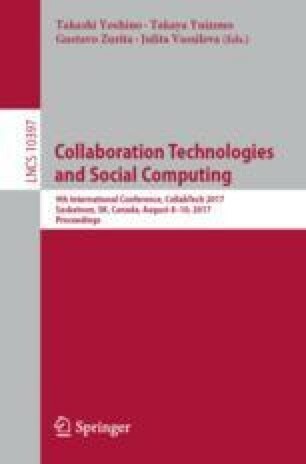 Applying ‘collaborative learning’ to programming education can be considered an effective method, but the current environment for collaborative learning in programming education needs to be improved because in many cases the creation and execution of programs are completed on isolated personal computers. To improve this situation we have developed a collaborative learning support system featuring a shared ‘stage’ screen based on the visual programming environment Scratch. Our system keeps each individual’s Scratch programming environment separate from the shared stage screen, but allows each of the individual stages to be displayed together on the shared screen at the same time. The system was used during collaborative learning workshops at a local community center. Evaluations were made with post-workshop survey questionnaires and analysis of the learners’ behavior. We confirmed that co-teaching and communication among learners occurred because the programs developed by others were visible on the shared stage screen. This work was supported by JSPS KAKENHI Grant Number 16H02925.